Is St John safe for travel? The question is asked so many times that it begs for an answer; and rightfully so. Before making plans and committing your hard earned dollars to a vacation destination you should do some research. High on everyone’s list of “must-have” is safety and security. Let’s face it if you’re constantly worried about your valuables or personal safety or both then you’re not relaxed and having fun! You’ll read that the US Virgin Islands have a very high murder rate. The travel forums periodically debate USVI crime and the Virgin Islands crime statistics comparing them to Stateside statistics for large metropolitan cities. Per capita murder rates are higher in the USVIs than in the USA. But the statistics don’t tell the whole story. So, short of reading the reports and scouring the forums “Is it safe to travel to the Virgin Islands?” and “Is it safe to spend our vacation on St John?”. Lets get this out of the way … the US Virgin Islands are safe for travel. Each year millions of tourists visit the Virgin Islands. The vast majority have an enjoyable stay and visit year after year. There are destinations in the Caribbean that pose a far greater travel risk than the USVIs. I’ve stayed on other islands where there were armed guards on the resort grounds. I’ve read and researched crime in the Region and the evidence shows that some of the most popular Caribbean destinations have higher crimes-against-tourists rates. That said, it is travel and you need to take steps to minimize your chances of being a victim of crime – just like you would at home. For weekly reports on crimes or to submit a tip – in the US Virgin Islands – you can check out CrimeStoppers VI. Leave your iPhone 7 on the bar and it’s not going to be there when you get back from the restroom. So what types of crime are the highest in the US Virgin Islands? By far the largest number of crimes involving tourists are theft / burglary. Leave your iPhone 6, 7 … on the bar and it’s not going to be there when you get back from the restroom. 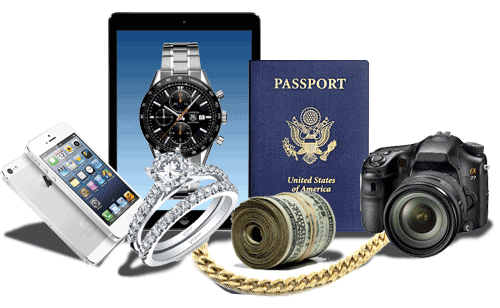 Another Travel Don’t – taking valuables like credit cards, jewelry, electronics, passports and large amounts of cash to the beach. Ask your villa or hotel management for access to a safe or hide valuables in hard to discover spots in your room. Be smart about the times of night and locations you plan to visit. Travel with friends. Don’t attract attention by being that drunken tourist that looks like an easy mark. And it might go without saying but refrain from buying drugs while in the Virgin Islands. Leaving valuables in your rental vehicle while you’re hiking or on the beach – not a great idea! There have been, periodically, rashes of vehicle break-ins at various beach locations across the island. Salt Pond, Peace Hill, Jumbie, and Annaberg to name a few. But these types of incidents aren’t restricted to just these beaches! Several popular hiking trail heads have had problems in the past ( and likely will in the future). I remind everyone – these are crimes of opportunity. Please do not leave valuables in your rental Jeep. And don’t leave items in plain sight inside your vehicle. Please do not leave valuables in your rental Jeep. St John has also had several poorly publicized crimes against women. While rare …it does happen …even on St John. My advise, don’t hike, or travel alone … male or female. Join a group or connect with others that share your interest. TripAdvisor has a wonderful St John Forum where you can connect and make some plans with others before you travel. Is there crime on St John? Is St John safe for travel? Sadly, just like everywhere else on the planet, there is crime on St John. However, St John has the lowest violent crime rate in the US Virgin Islands. With a small population, much lower drug and gang activity and better economic conditions, crime on St John is mostly theft / burglary. As we said earlier, use your head. You’re on vacation but you still need to practice smart travel. Don’t carry large sums of cash. Do some research and avoid the “worst” parts of any city or town at night. Know where you’re going. And travel in a group of friends and family. Don’t leave valuables unattended. Don’t leave valuables in your rental car / Jeep. And use common sense when enjoying an evening out. Have fun but try to avoid being so drunk that you attract attention as an easy target for crime. St John has the lowest violent crime rate in the US Virgin Islands. Many villas on St John have a safe or places for valuables. Talk to your villa owner or management company. Consider leaving expensive jewelry or electronics at home. St John is pretty low key and laid back. Expensive jewelry attracts the wrong kind of attention. You’ll have a far more enjoyable stay if you’re not worried about losing those expensive items! #1 – Don’t bring it and you can’t lose it! This includes expensive jewelry and electronics. #2 – Don’t carry large amounts of cash. #3 – Don’t bring valuables to the beach! #4 – If possible store valuables in the villa or hotel safe. #5 – Don’t leave valuables unattended. #6 – Don’t leave valuables in your rental car or Jeep. #8 – Never go out alone at night. Buddy up and have fun. #9 – The more intoxicated you get the bigger the target for crime. #10 – Remember – use common sense! Have fun but don’t throw all caution to the wind!